Winners are great – but even that is not always enough to attract sponsorship. Just ask American Beth Allen, who finished tied fourth at this year’s Australian Women’s Open in South Australia. 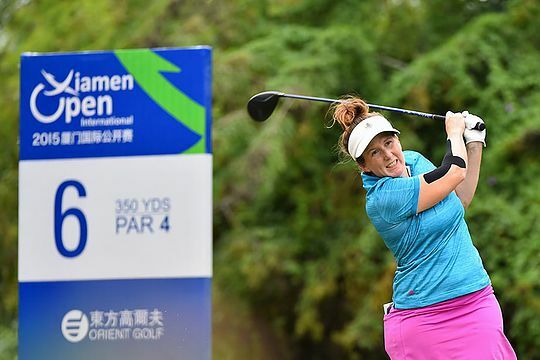 Allen was hoping to attract a sponsor to help her pay the entry fee and tackle the qualifier at her hometown event, last weekend’s LPGA’s Kia Classic in Carlsbad, California. No dice…in fact Allen wasn’t even considered for the qualifying field as she wasn’t a member of the LPGA Tour. Considering Allen is currently ranked 20th in the world…and has no sponsorships, which gives you some idea of the difficulty women’s professional golf still faces, worldwide. The fact that 34-year-old Allen has been playing full-time in Europe since 2009 might not have helped her cause either. But it should also be pointed out that Allen won for the first time on the Ladies European Tour last season and also finished fifth on their Order of Merit; she is currently ranked 92nd in the world and is already on top of the LET’s money list for 2016 after just four events. She is even held in such esteem by her peers that Allen is serving on the LET’s player council and board. “I often wonder what kind of sponsorship I could potentially earn if I wasn’t a gay, red-haired and freckly American playing in Europe,” Allen was quoted as saying last week. So all Allen can do is keep playing – and winning and paying her own bills on a tour that touches five continents, is broadcast in 148 countries and actually reaches 573 million homes. Eventually someone must Allen is actually value for money. Until then her expenses account will continue to mount and her discount code for buying clothing on-line will continue to get quite a workout.